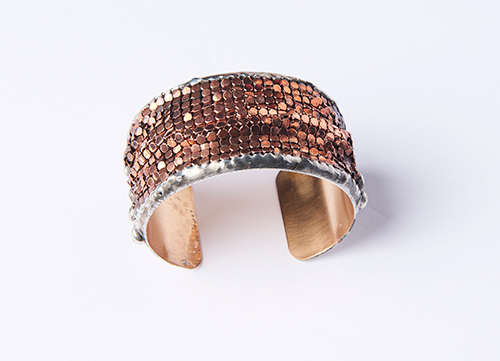 This Updated cuff is handmade by Mikal Winn. Rose colored Mesh chain mail on brass. Disco/rocker chic. Perfect compliment to a jeans and tee night out!